I kind of came up with this recipe by accident. The other day I was experimenting with some ingredients to make a cake crust, when I realised it would also make great biscuits! 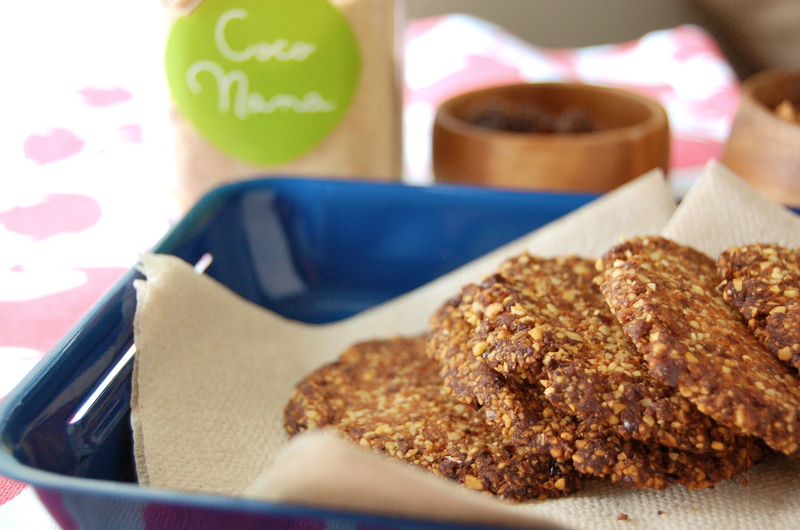 They’re not overly sweet but have a super nutty crunch (especially when kept in the fridge!) 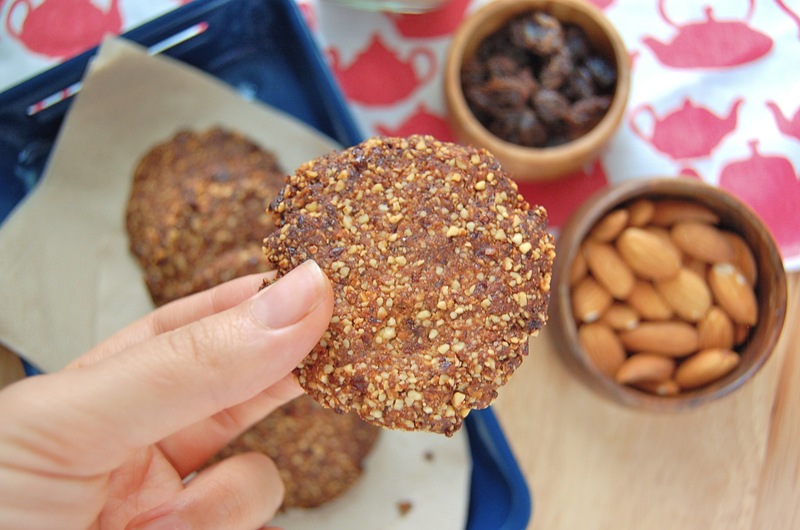 and make for the perfect snack with a cuppa tea or coffee. You can store them at room temperature in an air tight jar if you prefer a slightly softer biscuit. Apart from being so easy to make, you only need 4 ingredients! Well, if you don’t count the pinch of salt. I didn’t even need to add sugar as there is enough sweetness from the raisins and the coconut oil for me. Now I have to come up with a proper cake recipe using this as the crust!